iRobot Roomba 585 Robotic Vacuum is a iRobot veteran. It has becomed old and newer models had taken its place. 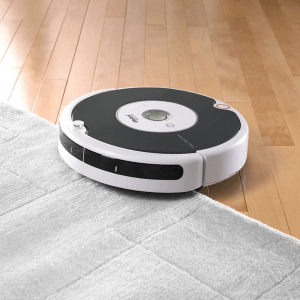 But … is still effective Roomba 585? 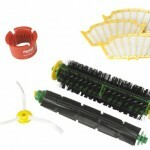 Irobot Roomba 585 comes with a charger and cleaning tools as it needs to be cleaned once in a while. No soap and water though, just empty dust bin and use the brush cleaning tool to get him ready for his next job! Picking the right Robotic Vacuum Cleaner is not an easy task. Compare and decide which robotic vacuum cleaner best fits all your needs. Before you put Roomba to work, you need to make sure he won’t get into any trouble. So be sure you pick up anything you don’t want him to pick up and keep cords off the floor. 585 robotic vacuum will do the rest of the work for you. The iRobot Roomba 585 robot vacuum cleaner can clean any home in depth, regardless of the type of soil and the obstacles in its path. 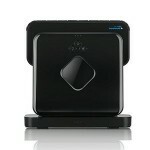 It uses flexible cleaning head that adapts to all types of floors for cleaning and vacuuming in depth. It uses advanced cleaning system in 3 stages. Cleaning system is based on the combination of spinning side brush, the central counter-rollers and brush with high pumping speed and efficiency guarantee a greater than 90%. Thanks to the intelligent navigation, iAdapt, your Roomba will be able to analyze environment up to 60 times per second. That means iRobot Roomba 585 robotic vacuum will react to the changing environment, finding its cradle and determine the optimal method stay cleaning. Combined with Dirt Detect technology, your robot will know how to find dirt on its own. Thanks to its interior acoustic sensors that track the environment around memento for debris. iRobot Roomba 585 robotic vacuum vacuums every section of your room multiple times, getting into areas you can’t easily reach. That includes under furniture and around everyday obstacles, vacuuming until the job is complete. To ensure ability to work autonomously the iRobot Roomba 585 robotic vacuum uses Cliff Detect technology that can detect slopes and stairs. For maximum autonomy advanced anti-tangle system will prevent your robot from stucking in carpet tassels, cables or any obstacles he may encounter. This model also includes 2 Virtual Wall LightHouse, which allow you to define the workspace of the robot and restrict entry to certain areas or rooms. The iRobot Roomba 585 robotic vacuum utilizes AeroVac technology in order to maximize air flow through its cleaning head. It will pull hair and debris off the brushes and distribute it evenly into the bin. iRobot Roomba 585 Robotic Vacuum is designed with pet owners in mind featuring AeroVac™ Technology and improved brush design for better hair pickup. 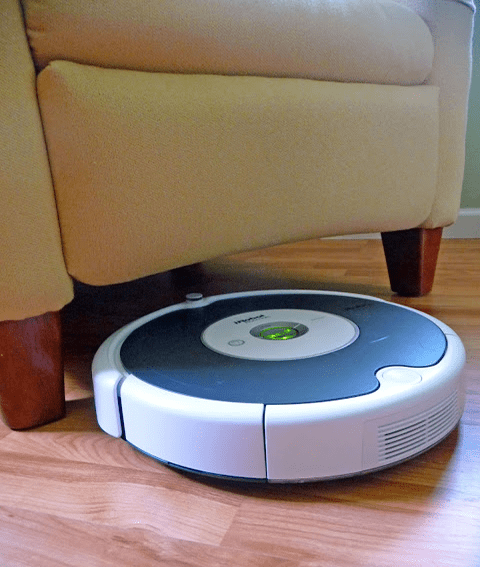 Roomba removes dirt, pet hair and much more while automatically adjusting to clean carpets, hardwood, tile and linoleum floors as it moves through your home. The new simplified brush design utilizes innovative composition and technology for easier, stress-free maintenance. Roomba features iRobot’s iAdapt Responsive Cleaning Technology, an advanced system of software and sensors that allows the robot to vacuum more of your room more thoroughly. 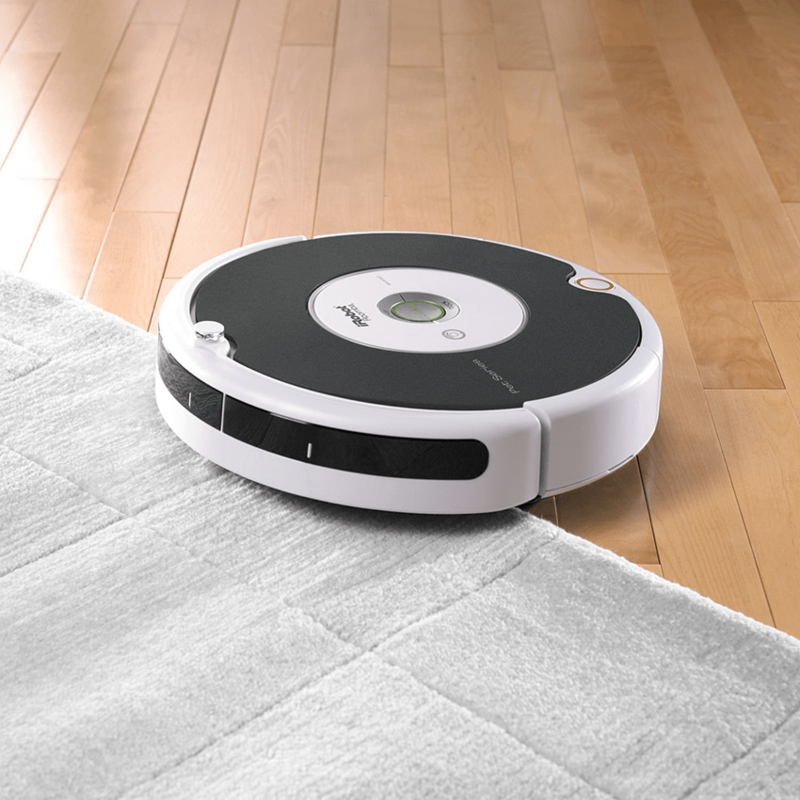 Roomba vacuums every section of your room multiple times, getting into areasyou can’t easily reach, including under furniture and around everyday obstacles, vacuuming until the job is complete. 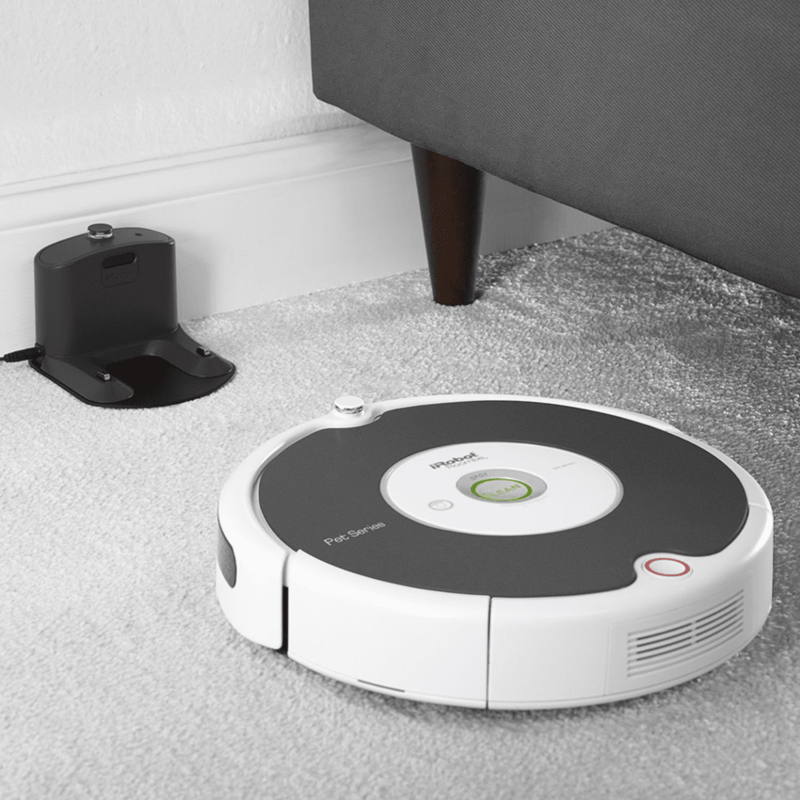 iRobot Roomba 585 robotic vacuum vacuums every section of your room multiple times, getting into areas you can’t easily reach. That includes under furniture and around everyday obstacles, vacuuming until the job is complete. The included Virtual Walls restrict robot access to specific rooms and areas. 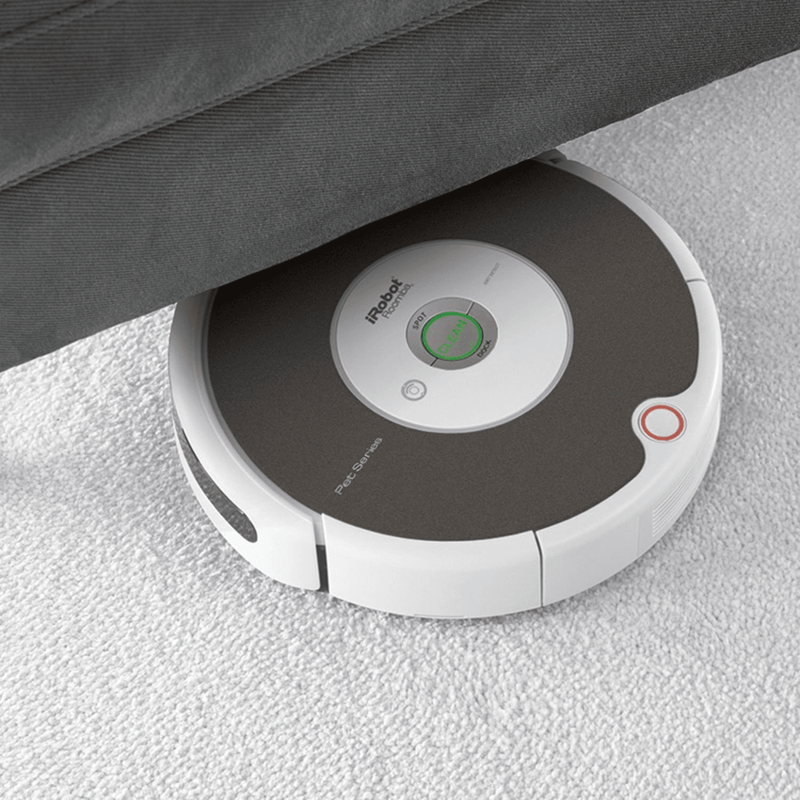 Roomba will automatically return to its Home Base to dock and recharge between cycles. All you need to do is press “Clean” and let the robot do the work. 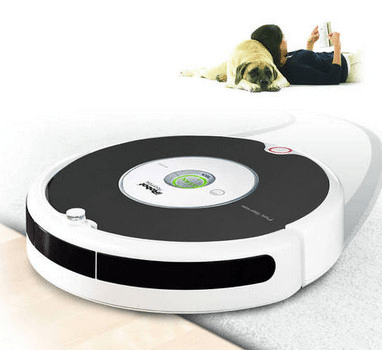 Roomba 585 picks up an amazing amount of dirt, pet hair and other debris with its patented 3-stage cleaning system. A spinning side brush cleans along wall edges, counter-rotating brushes act like a dustpan and broom, and a powerful AeroVac vacuum pulls dirt, hair, and debris off the brushes and into the back of the bin. Can this model be scheduled to clean? No, it doesnt have scheduling setting. Same noise as a normal vacuum. Does the roomba 585 come with a remote? No, iRobot Roomba 585 robotic vacuum doesnt have a remote control. What is the life expectancy of a Roomba? It depends on various factors. It can last for years or few months. In that case there is warranty. The bin is large enough to clean one medium sized room. When it hits a power cord it switches from clean mode to “escape from the cord mode” until it gets away from it, so moving power cords to where they won’t get in its way will result in a more thorough job. This model only comes with one spare filter and one virtual wall, which in a poor design decision was made to take C batteries. You could simply fold a sheet of paper each around the two AA batteries to make them fit. This method works fine and should allow you to use AA rechargeable batteries on the virtual wall instead of C batteries. The virtual wall turns itself off after 1.5 hours to conserve power. The virtual wall works fine in restricting iRobot Roomba 585 Robotic Vacuum to one room at a time. iRobot Roomba 585 Robotic Vacuum cannot clean stairs, furniture or cars. It can get under the bed and under the futon very effectively. This model does not support scheduling or come with a remote, you do have to physically walk over to it and press the “clean” button to get it started. Unfortunately this model is not upgradeable to a HEPA filter. 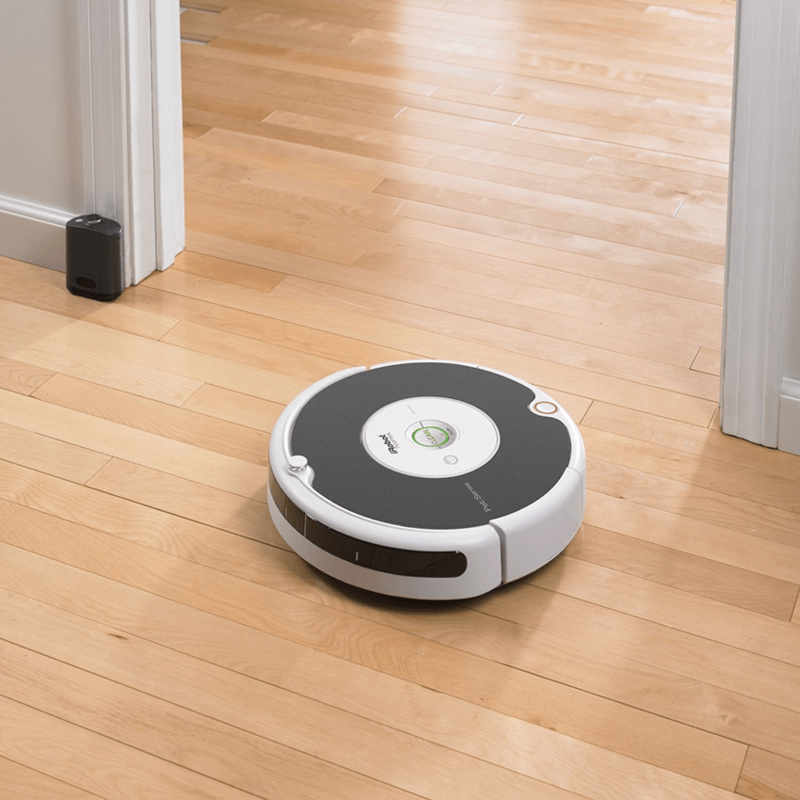 Roomba makes cleaning easier, which is a great excuse to buy a toy robot. 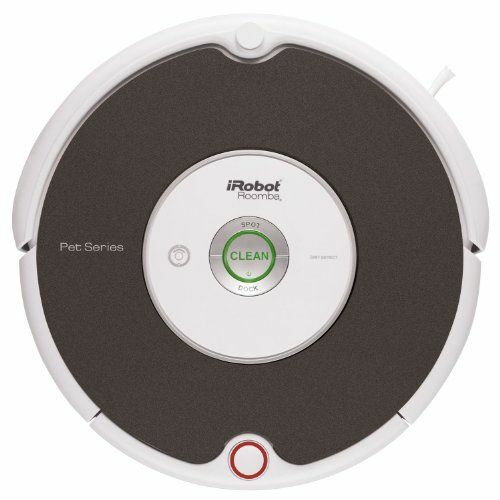 The Irobot Roomba 585 Vacuum Cleaning Robot utilizes AeroVac technology to maximize air flow through its cleaning head and pull hair and debris off the brushes to bin. Although the Roomba 585 was one of the star models and best selling brand it has been overtaken by his predecessors who offer better value. However this is still solid robotic vacuum cleaner. I just got a 585 and have used it for about a week. I am amazed at the amount oh dog and cat hair that it finds even after I use a regular vacuum. Our house is all tile with a couple of large area rugs. I cold not be more pleased with the performance of this machine. Thank you for sharing your expirience in using Roomba 585 Bryan. I have had my 585 for several years now. I love love my “Robbie “. It still performs well. The pet hair it gets is just amazing. I can’t imagine my life without him. I have tile throughout my house with area rugs and he doesn’t miss a lick. I highly recommend. Thank you Juli for writing your experience with Roomba 585 vacuum. Wish your “Robbie” will work for you more years to come.